Father's Day Greetings, Graphics & Clipart! Happy Father's Day! Happy Fathers Day! Celebrate Dad! 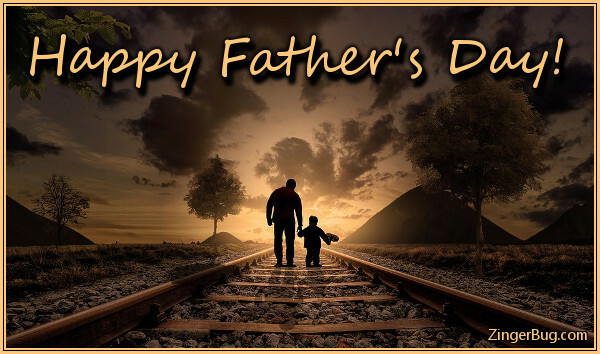 This is the time to celebrate fathers, dads, grandfathers, and all of our father figures! Let Dad know how special he is with these comments. Happy Father's Day! Number One Dad! It's Super Dad! 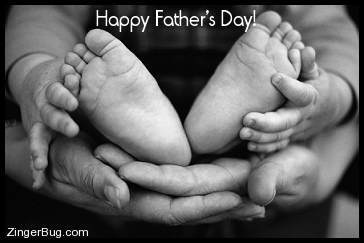 The first Father's Day celebration was held on June 19, 1910 in Spokane, Washington. It was the brainchild of a woman named Sonora Dodd who wanted a way to honor her father, a Civil War veteran, who had raised six children all by himself after the death of his wife. The idea of a national "Father's Day" was supported by presidents Coolidge and Johnson, but the holiday was not made official until 1972 when president Nixon signed it into law. Father's Day is celebrated on the 3rd Sunday in June. I'll always be Daddys Little Girl! Happy Fathers Day!